Children of Eunice Gillett and Consider Holcombe Jr.
[S184] CSG #11841. Mrs. Carol A. Laun, "unknown short article title." [S45] Albert C. Bates, Simsbury, Page 76. [S137] Elisha Scott Loomis, Joseph Loomis, Page 165/Item 916. Carol Laun places Eliphalet in Riga based on Granby Land Records 9-175. Eliphalet Holcombe was born in 1779. He was the son of Consider Holcombe Jr. and Hannah Loomis. Eliphalet Holcombe married Patience (?) Eliphalet Holcombe lived in 1813 at Riga, Genesee Co., NY. Consider Holcombe was born say 1763/64. He was the son of Consider Holcombe Jr. and Eunice Gillett. Consider Holcombe died in 1785. Carol Laun has a death date of 1785 from Simsbury Probate #1414. Moses Holcombe was born on 23 September 1791 at CT.1 He was the son of Consider Holcombe Jr. and Hannah Loomis.2 Moses Holcombe lived in 1813 at Riga, Genesee Co., NY. He married Elizabeth Mann.1 Moses Holcombe died on 4 February 1857 at MI at age 65.1 He was buried at McFadden Cemetery, Yale, St. Clair Co., MI.3 Carol Laun places Moses in Riga based on Granby Land Records 9-175, 488. [S829] Mrs. Don Cope, "Moses Holcombe," e-mail to James H. Holcombe, 25 June 2001. [S25] Hannah McPherson, Holcombe Genealogy, page 33.2. [S807] Find A Grave, online http://www.findagrave.com, memorial # 16581794. Benjamin Holcombe was the son of Consider Holcombe Jr. and Hannah Loomis. Benjamin Holcombe lived in 1806 at Granby, Hartford Co., CT.
Carol Laun speculates on Benjamin's movement west, possibly in Gates, Genese Co., NY in 1820; Phelps, Ontario Co., NY in 1830; possibly in Hartland, Ct.
John G. Holcombe II was born circa 1760 at Granby, Hartford Co., CT. He was the son of Consider Holcombe Jr. and Eunice Gillett. John G. Holcombe II married Jane Lamson, daughter of Elnathan Lamson. John G. Holcombe II died on 14 October 1833 at Monroe, Muskingum Co., OH. He was buried at Richardson Cemetery, Monroe, Muskingum Co., OH. Weir does not mention the second marriage to Aurelia and Bowman does not assign the children to either wife. Carol Laun documents the improbability of the marriage of John and Aurelia at all. Carol Laun derives birth from Rev War pension record S37116.3 The gravestone indicates he was 68 yrs, 7m. 4ds. which would make his birth 10 Mar 1765. John enlisted Jan 1781 as a private in Captain Allyn's company, 3rd Connecticut Regiment, and was paid for militia duty until Dec 31, 1781, for which service he was pensioned beginning May 17, 1818 then 58 years old, and a resident of Muskingum Co., OH. Bowman gives birth and death years with no source. The Richardson Cemetery is located n Monroes Twp., R5, one mile from Otsego, on Rt. 83, turn left on Granny's Knob Road (Co. Rd.d 17), 1/2 mile to cemetery, on right side of the road. [S65] Deanna Holcomb Bowman Thomas Holcomb, Vol. II:Pg. 49/Item 42625. [S25] Hannah McPherson, Holcombe Genealogy, Page 33.2/Item A-4-2-9-2-5. Carol Laun says that Jane is possibly the daughter of Elnathan Lamson. Jane Lamson was born on 26 March 1761 at Granby, Hartford Co., CT.1 She was the daughter of Elnathan Lamson. Jane Lamson married John G. Holcombe II, son of Consider Holcombe Jr. and Eunice Gillett. Jane Lamson was buried at Richardson Cemetery, Monroe, Muskingum Co., OH. [S45] Albert C. Bates, Simsbury, Page 185. Martha S. Chandler was born in 1836. She married Joseph Beach, son of Benjamin Beach and Mary Holcombe, in 1854.1 Martha S. Chandler died in 1882. [S25] Hannah McPherson, Holcombe Genealogy, Page 136.2. George E. Beach was born in 1860.2 He was the son of Joseph Beach and Martha S. Chandler.2 George E. Beach married Alta J. West in 1879.2 George E. Beach died before 1930. [S104] DAR DAR Lineage book, Vol. CXVII/Item 116173. Alta J. West was born in 1862. She married George E. Beach, son of Joseph Beach and Martha S. Chandler, in 1879.1 Alta J. West died after 1930. Daisy M. Beach was born at Linden, MI.2,3 She was the daughter of George E. Beach and Alta J. West.2 Daisy M. Beach married Jesse B. Herrick.2 Daisy M. Beach was a member in 1915 at DAR; 116173, Washington, DC. Jesse and Daisy were enumerated in the 1920 Petoskey, Emmet Co., MI, federal census, ED 166, in the household of George and Alta Beach. They were both 35. There was one child in the household, W. George(?) 8. Jesse and Daisy were enumerated in the 1930 Petoskey, Emmet Co., MI, federal census, ED 16, in the household of widow Alta Beach. He was 46, she was 45. Children in the household were George W. 18, and Jesse Jr. 8. Susanna Saxton was born on 5 November 1843. She was the daughter of Benjamin Saxton Jr. and Delight Holcombe. Susanna Saxton married Charles Reynolds Kenyon in 1864. [S104] DAR DAR Lineage book, Vol. CXVII/Item 116835. [S25] Hannah McPherson, Holcombe Genealogy, Page 140.1/Item A-8-1-2-13-3-7-10. Charles Reynolds Kenyon was born in 1838. He married Susanna Saxton, daughter of Benjamin Saxton Jr. and Delight Holcombe, in 1864. Charles Reynolds Kenyon died in 1906. Ethel Kenyon was born at Cranville, PA. She was the daughter of Charles Reynolds Kenyon and Susanna Saxton. Ethel Kenyon was a member in 1915 at DAR; 116835, Washington, DC. [S25] Hannah McPherson, Holcombe Genealogy, Page 140.1/Item A-8-1-2-13-3-7-10-1. Mary Holcombe was born in 1863 at Shelby Co., IA. She was the daughter of Zoroaster Burgess Holcombe and Eunice Elizabeth Hankins. Mary Holcombe married Frank Miller. Mary Holcombe was a member in 1915 at DAR; 117711, Washington, DC. [S104] DAR DAR Lineage book, Vol. CXVIII/Item 117711. Frank Miller was born in 1861. He married Mary Holcombe, daughter of Zoroaster Burgess Holcombe and Eunice Elizabeth Hankins. Ethel Miller was born at Shelby Co., IA. She was the daughter of Frank Miller and Mary Holcombe. Ethel Miller was a member in 1915 at DAR; 117712, Washngton, DC. [S104] DAR DAR Lineage book, Vol. CXVIII/Item 117712. Sarah Holcombe was born in 1836. She was the daughter of James Harvey Holcombe and Lucy Woolworth. Sarah Holcombe married George C. Wilson in 1855. Sarah Holcombe died in 1894. [S104] DAR DAR Lineage book, Vol. CXX/Item 119003. George C. Wilson was born in 1831. He married Sarah Holcombe, daughter of James Harvey Holcombe and Lucy Woolworth, in 1855. George C. Wilson died in 1908. Adda Wilson was born at Medina, OH. She was the daughter of George C. Wilson and Sarah Holcombe. Adda Wilson was a member in 1915 at DAR; 119003, Washington, DC. Holcombe Tuller was born in 1809. He was the son of Bela Tuller and Lydia Holcombe. Holcombe Tuller married Jane Woodruff in 1835. Holcombe Tuller died in 1868. [S104] DAR DAR Lineage book, Vol. CXXV/Item 124814. 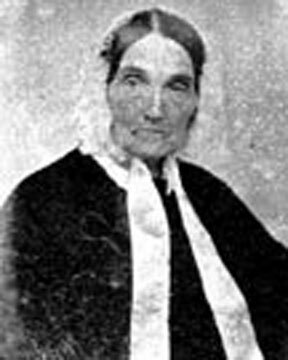 Jane Woodruff was born in 1815. She married Holcombe Tuller, son of Bela Tuller and Lydia Holcombe, in 1835. Jane Woodruff died in 1855. Woodruff Tuller was born in 1852. He was the son of Holcombe Tuller and Jane Woodruff. Woodruff Tuller married Lucy Chapman, daughter of Albert Chapman and Lucy Sells, in 1878. Woodruff Tuller died in 1907. Lucy Chapman was born in 1856. She was the daughter of Albert Chapman and Lucy Sells. Lucy Chapman married Woodruff Tuller, son of Holcombe Tuller and Jane Woodruff, in 1878. 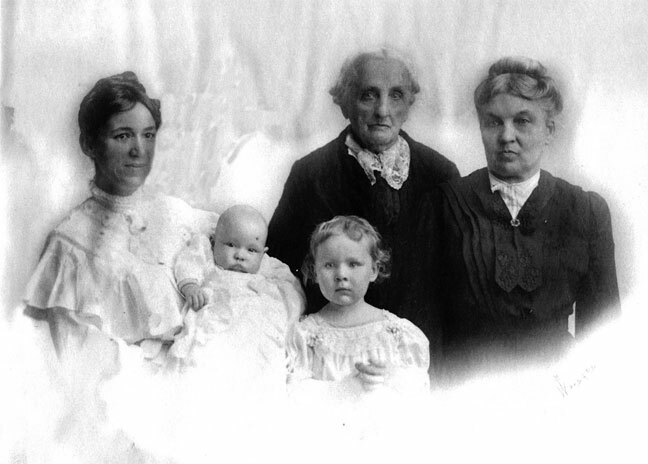 Josephine Chapman Tuller was born at Dublin, OH. She was the daughter of Woodruff Tuller and Lucy Chapman. Josephine Chapman Tuller was a member in 1916 at DAR; 124814., Washington, DC. Jane Merwin Haven was born at Syracuse, Onondaga Co., NY. She was the daughter of William Haven and Caroline Maria Merwin. Jane Merwin Haven was a member in 1916 at DAR; 125014, Washington, DC. [S104] DAR DAR Lineage book, Vol. 126:Pg. 5/Item 125014. Sylvia E. Pelton was born on 1 July 1793 at Otis, Berkshire Co., MA. She was the daughter of Ephriam Pelton and Statire Holcombe. Sylvia E. Pelton married George Pearl. Sylvia E. Pelton married Nicholas C. Wagner in 1816. 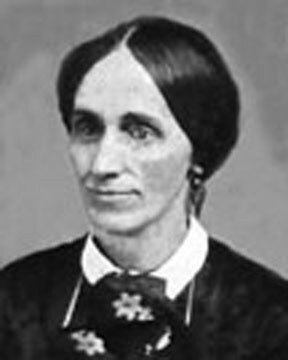 Sylvia E. Pelton died in 1874. Information on Sylvia and her descendants is from David A. York, 8039 Engelhurst Drive, Jenison, MI 49428, in a manuscript dated December 11, 1999. Some say the spelling was "Wagner" and also "Wagoner", however David A. York has Statira Alvira Wagoner Karr's personal photo album and the cover of which is engraved "S. A. Wagner" are included. [S104] DAR DAR Lineage book, Vol. CXXVII/Item 126725. Nicholas C. Wagner was also known as Nicholas C. Waggoner. He was born in 1792. He married Sylvia E. Pelton, daughter of Ephriam Pelton and Statire Holcombe, in 1816. Nicholas C. Wagner died in 1845. Mary Ann Wagner was the daughter of Nicholas C. Wagner and Sylvia E. Pelton. Mary Ann Wagner married David John Armstrong in 1845. Mary Ann Wagner died in 1881. David John Armstrong married Mary Ann Wagner, daughter of Nicholas C. Wagner and Sylvia E. Pelton, in 1845. David John Armstrong died in 1866. David John Armstrong was born in 1849. He was the son of David John Armstrong and Mary Ann Wagner. David John Armstrong married Cecilia Webster Garrick in 1873. David John Armstrong died in 1882. Cecilia Webster Garrick was born in 1854. She married David John Armstrong, son of David John Armstrong and Mary Ann Wagner, in 1873. Mary Emma Armstrong was born at Chicago, IL. She was the daughter of David John Armstrong and Cecilia Webster Garrick. Mary Emma Armstrong was a member in 1916 at DAR; 126725., Washington, DC. Katharine Armstrong was born at Duluth, MN. She was the daughter of David John Armstrong and Cecilia Webster Garrick. [S104] DAR DAR Lineage book, Vol. CXXVII/Item 126729. Statira Alvira Wagner was born on 23 April 1819 at Alburg, Grand Isle, VT. She was the daughter of Nicholas C. Wagner and Sylvia E. Pelton. Statira Alvira Wagner married William M. Karr in 1838 at (Godmanchester) Huntingdon, Québec, Canada. Statira Alvira Wagner died on 31 March 1914 at Olivet, Walton Twp., Eaton Co., MI, at age 94. She was buried at Oakhill Cemetery, Grand Rapids, Kent Co., MI. Information on Statira and her descendants is from David A. York, 8039 Engelhurst Drive, Jenison, MI 49428, in a manuscript dated December 11, 1999. Statira left the Alburg area, near Lake Champlain, with her parents and other family members about 1835. They moved due west about 60 miles to an area around Trout River, NY on the US-Canadian border. Statira's grandparents, Ephraim Pelton, Jr. and Statira Holcombe, also left about the same time and moved to Constable, Franklin Co., NY. She lived with one of her daughters, Harriet (Harrie) Karr Eness and Joseph Eness, in Olivet, MI, just prior to her death. [S104] DAR DAR Lineage book, Vol. CXXVII/Item 126730. Nothing is known about William's time in Scotland. It is believed that he came from theEdinburgh area, as Mid Lothian is the ancestral home of the KARR (pronounced like 'care') family castle. Family lore says that he was a younger son of the Marquis of Lothian. By virtue of his later birth he had no chance of inheriting either land or a title. One member of the KARR line is reportedly buried inWestminster Abbey. There is also a KJARr clan located along the border between Scotland and England. A Scottish history book suggests that it is this clan that took the spelling of KARr rather than the KER clan of Mid Lothian. In either case, William's prospects were slim in Scotland, so he sailed for North America. William arrived in Canada around 1837 and may have possibly entered through Grosse Isle, just north of Quebec, located on the St. Lawrence River. William and Alvira lived in Huntingdon Co., Quebec from 1838 to about 1860 where their second youngest child was born in 1859. All of their children were born in Canada. Harriet is reported to be born in elgin, Ontario, Canada in 1864 which may indicate the start of their migration to Grand Rapids, MI. At the end of the Civil War, the couple and their eight children completed the move to Grand Rapids, MI, where they settled on the northwest side right along the Grand River. William M. Karr was born on 2 February 1818 at Scotland. He married Statira Alvira Wagner, daughter of Nicholas C. Wagner and Sylvia E. Pelton, in 1838 at (Godmanchester) Huntingdon, Québec, Canada. William M. Karr immigrated between 1837 and 1838 to Québec, Canada, Scotland. He died on 23 September 1892 at Grand Rapids, Kent Co., MI, at age 74. He was buried at Oakhill Cemetery, Grand Rapids, Kent Co., MI. [S807] Find A Grave, online http://www.findagrave.com, Find A Grave, database and images (https://www.findagrave.com : accessed 15 April 2019), memorial page for Ethel M Davis Holcombe (19 Sep 1871–13 Feb 1920), Find A Grave Memorial no. 120529443, citing Ulster Cemetery, Ulster, Bradford County, Pennsylvania, USA ; Maintained by LDR (contributor 47171969) .